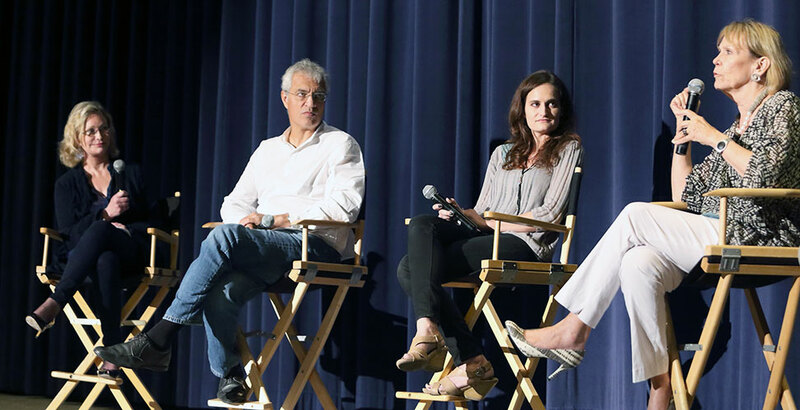 Exclusive screenings of films with climate change themes provide inspiration with insightful Q&A sessions with writers, producers and experts. Recently we explored species extinction with Oscar-winner Louie Psihoyos for a sneak peek at Racing Extinction before it hit theaters and Discovery channels in 240 countries around the world on Dec. 2, 2015. Angry Birds Champions for Earth Tournament—Hollywood, Health & Society provided climate-related facts and helped line up celebrity spokespeople for the Angry Birds Champions for Earth tournament. Danny DeVito, Matt Damon and Don Cheadle were among the actors who had Angry Birds avatars created in their likeness. Watch: "2036"—HH&S interviewed students ages 7-12 at schools and other venues about global warming, capturing their often funny and insightful thoughts on hopes for the planet's future. Cli-Fi—Our Tumblr site offers an occasionally updated sample of climate change depicted in fiction, film and art.